Creation fees are for your visits with me to create your portraits. Prints, Products & Digital Collections are sold separately. My newborn sessions are all shot on-location in the comfort of your home. I capture your family in your natural element without props & backdrops. Shot within the first month of life. 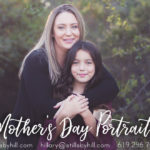 Families are included in your session. Tons of locations to choose from in San Diego county! 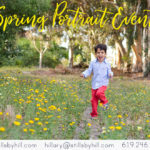 Sessions include up to 5 subjects photographed, hand editing of your portraits, a personalized in-studio ordering appointment and unique boutique professional products to order from. Don’t want basic studio headshot? Your on-location headshot session may take place in numerous locations in our beautiful city! Whether it’s your home, downtown or at your office- I’ve got you covered. If you are interested in group/office portraits, I do that too. Just ask for a quote! Your creation fee includes one printable digital image. Additional images are available for purchase following your session. Because my customers all have different needs, their product orders vary in pricing. Please contact me to schedule a phone consultation to go over different options for your session.